Rijeka is the first host in the more than half a century long history of Croatian Children’s Film Festival that will place young authors on a ship. This is where they will sleep in that small period of time when they’re not at the screenings, debates or sightseeing around our host city; when they’re not exchanging their impressions of the Festival, being excited about being here for the first time and showing everyone results of their yearlong work. Meaning of the Festival as the longest uniting event of children’s film in Croatia, where everyone who is the best at it in our country is invited, is the possibility to present children’s work to the public and to each other, to compare and learn but also to talk about future collaboration. Third biggest city in size and population in Croatia, around 130 000, and the biggest sea port in the country, has rich history and many places to see. Keltska Tarsatika and ilirical, liburnical Trsata were founded at the today’s Trsat and below it, and Romans are then moving the city closer to the delta of Riječina to sea. After feuds during the migrations, during the middle ages two settlements are mentioned, one is a feudal fort and the other is already then known as Rijeka or Rika and is a center of trade. 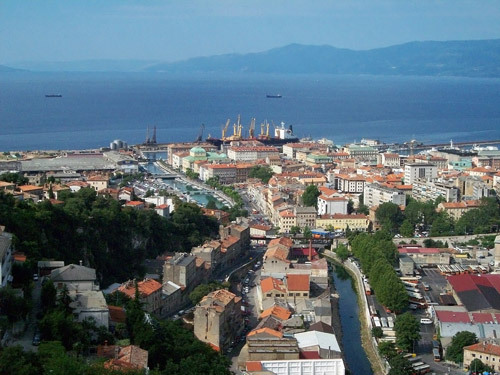 First glagolitic books are published here in the 16th century and at the beginning of 18th century Rijeka is a free king’s port. Some hundred years later paper manufacture was built known as Hartera where numerous cultural and artistic events are held today. Other industry was opened, such as oil refinery, gas distribution and railroad to Karlovac. First torpedo in the world was built in Rijeka and the first photography of bullet midair was taken here as well. War is just a memory in Rijeka today. Rijeka is an ideal of peaceful coexistence of over ten different nations and nationalities, ideal of democracy, tolerance and cooperation and today its main orientation is towards development of tourism and creation all together. This is where first international soccer game was played in Croatian history and it is a city with the strong consular activities with 57 consulates which is understandable considering international connections of the city as a port. Here, at the port, most of the content of the Festival will be held. Art-cinema Croatia near by will host screenings and the ship will host panel discussions, round tables and less formal but important parts of the Festival, fun activities for youth and adults. Marina will for the majority be the first and some maybe the only experience of staying on a ship, which is not sailing to be honest, but that fact is to be overlooked in the excitement of sleeping in a ship cabins, walking around decks, smelling the air and feeling the wind. Film and the sea, can life be any better!? During the seven screenings we will see 93 films with two juries, professional one and international children's jury, picking the winners. There will be many workshops, presentations and other content. This exchange of ideas, arguments and a chance to learn is an extra value of the Festival. At the beginning, to all the participants of the 53rd Croatian Children's Film Festival, safe trip and peaceful sea!